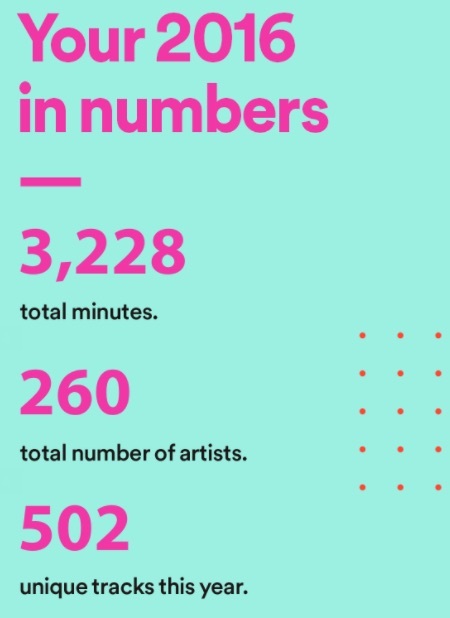 My year-end spotify stats. 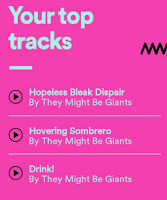 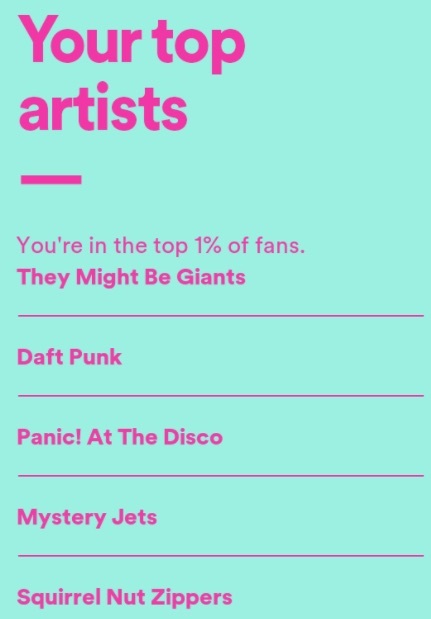 I'm skeptical of these; I know I've listened to other artists way, way more than I've listened to Mystery Jets. 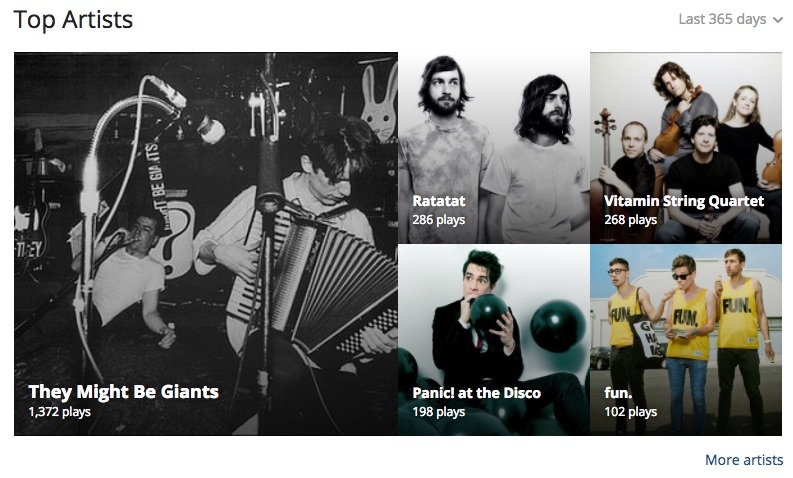 Pretty different results compared to last.fm stats for the last 365 days. 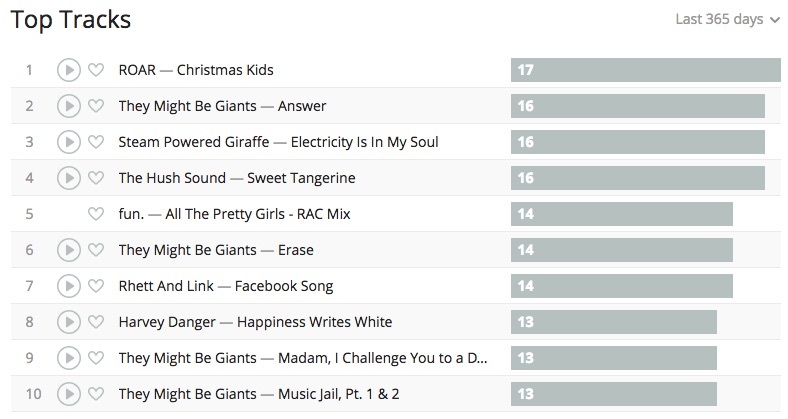 Last.fm is scrobbling from my phone and computers, but I'm not sure it captures stuff played through the amazon echo.